The Best Martial Arts Training in the World. Scottsdale Jiu-Jitsu is your best place to learn Combative Jiu-Jitsu. We teach Brazilian Jiu-Jitsu, ancient Japanese Jujitsu, and modern MMA techniques, as well as the old school style of combative MMA skill for fighting. You will learn how to apply ancient, war time deadly combative knowledge, tested in the real world for thousands of years, for greater effective skill to dominate in this modern world of BJJ, UFC and MMA. MMA Mixed Martial Arts has been around for thousands of years. Warlords of Japan have used many forms of combative martial arts to conquer their enemies. Our school is a must, if you wish to be smarter and wiser, and rise above your competition. Scottsdale Jiu-Jitsu is a must, if your have the desire to be a world-class fighter. Scottsdale Jiu-Jitsu school of Martial arts is a must, if want to learn to protect your self and your family. The Saito Jujitsu Edge is what you’ll need to become a UFC/MMA champion. It is what you'll need to become a Brazilian Jiu-Jitsu Champion. Why is this so? Now more than ever to win requires superior skill and knowledge. How is this attainable? Master Maui Saito has been studying the historically authentic and full combative Japanese Jujitsu for more that forty years, the same Jujitsu the Gracie’s have been studying and teaching and calling their own, only more. 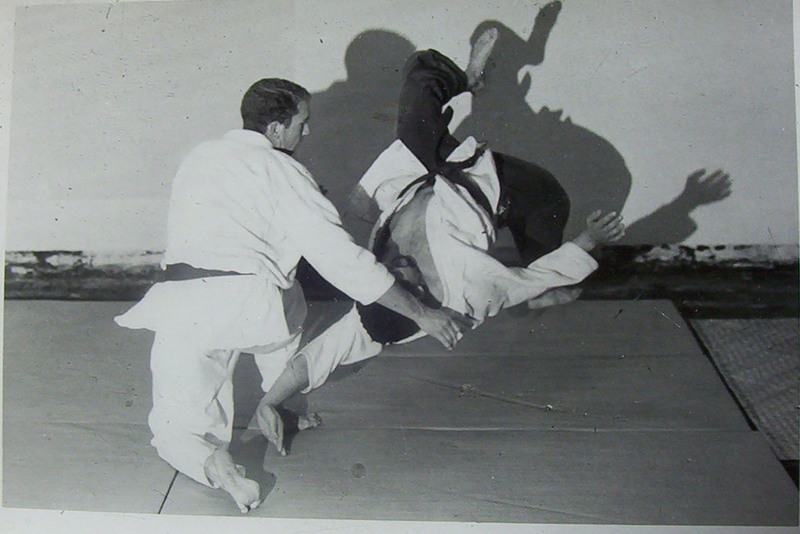 The roots of Gracie Jiu-Jitsu is authentic Japanese Jujitsu and brings excellent focus on a portion of the art, but there is still much more knowledge to advance further. More must be attained for fighters today to have the competitive edge. and win! 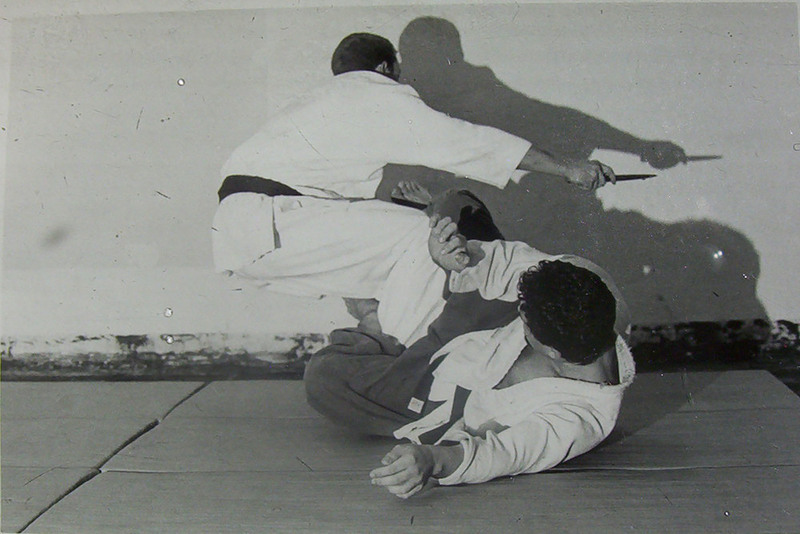 Learn more about Saito Jujitsu's Edge. 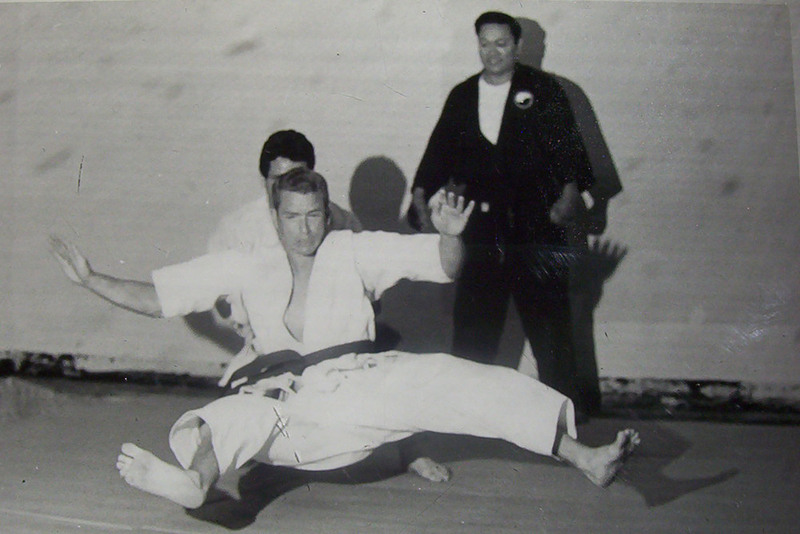 Master Maui Saito learned Japanese Jujitsu from his father, the Great Grand Master Mark Saito, Sr. 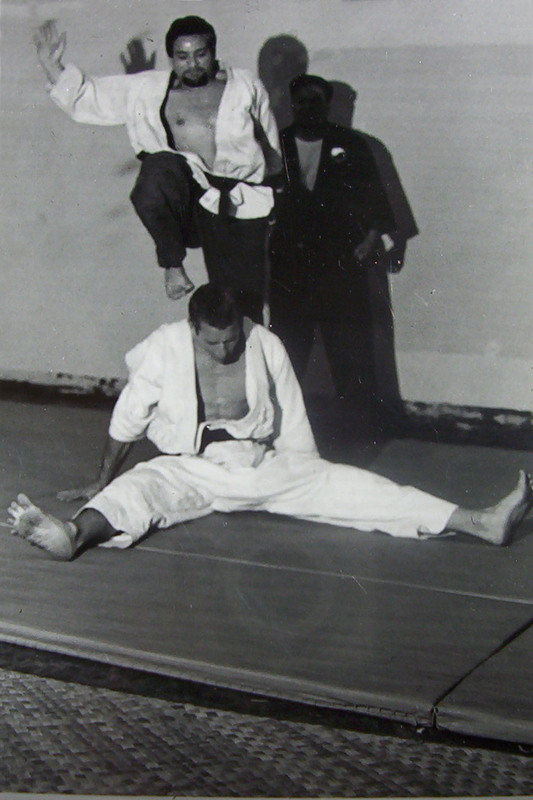 The Great Grand Master Mark Saito, Sr., learned Japanese Jujitsu from his Grandfather, the Great Grand Master Hanshichi Saito. The Great Grand Master Hanshichi Saito is pure Japanese and was born and raised in Fukushima Valley, Japan. Each generation of the Saito clan has passed on the original unwatered-down combative art predating the peace time period of Japan's history. 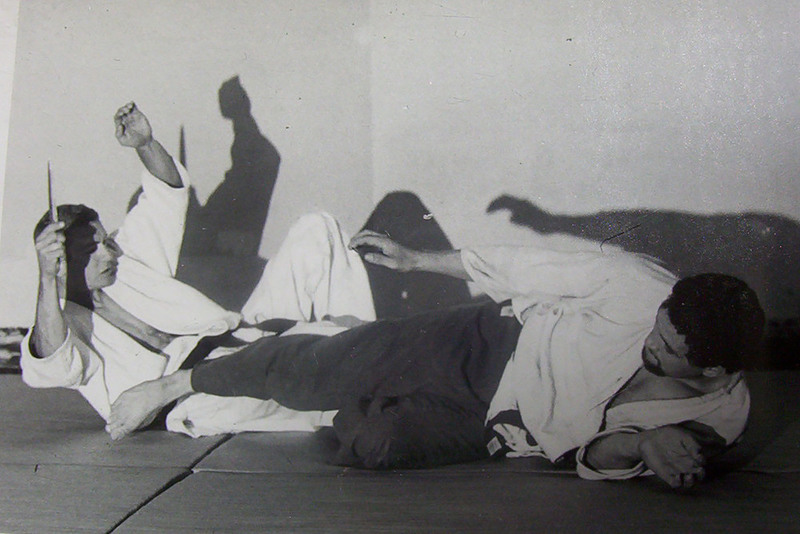 It is Pure Authentic Japanese Jujitsu from Great Grandfather - to father - to son. You will learn escapes and reversals from all Gracie and Brazilian Jiu-Jitsu, and more, including all combative JuJitsu. That right there will be your BJJ competitive edge - that will be your UFC edge, to win your title fight! The teaching ability of Master Maui Saito is unsurpassed, and his extensive knowledge and skills go beyond the realm and limits of Jujitsu as it is often taught. He was immersed in a life time of martial arts education through his family line whose techniques were extensively long held in secrecy within the family lineage until the recent time. The mark of true success, however, is whether a teacher can impart the same skills and ability to his students. Many teachers, instructors, trainers have excelled competitively, but fail to become great teachers who can impart the same level of skill and success to their students, so those students can rise as far or even farther. This important fact is crucial in determining the right place to train. Is the success of the student the most important goal to your instructor, teacher, trainer? Is that success meant for your own long term personal goals? You will have no doubt, when you walk in and meet Master Maui Saito, of the intention to provide you with the highest quality and superior training that will make you more than great, and go beyond the levels you thought you could attain, whether a complete beginner or already in the highest leagues. You will thoroughly enjoy the atmosphere of close comradery, family and individual attention to your successful training that cannot be equaled anywhere! Join our family, join our team! Think of Scottsdale Jiu-Jitsu the next time you tapout! Change that and have the other guy tapout! 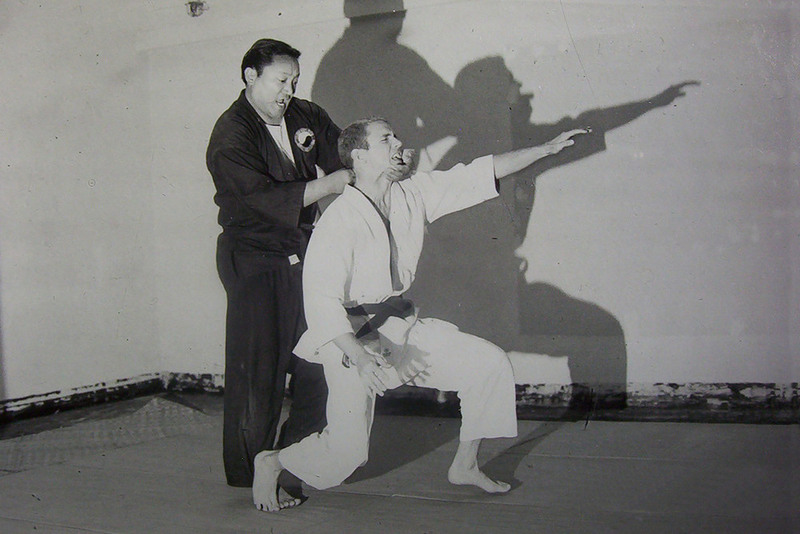 Below: The late Grand Master Mark Saito, Sr. looking on as his students practice in the "dungeon"
Read more about the great Grand Master Mark Saito, Sr., his son, Master Maui Saito, and the Saito Jujitsu Edge....here. Try us out for 2 Weeks FREE!